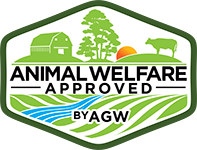 Bradley Marshall raises Certified Animal Welfare Approved by A Greener World (AGW) pigs at The Piggery in Trumansburg, New York. The 70-acre farm is located in the beautiful Finger Lakes region, where the pigs are raised outdoors, on pasture. The Piggery specializes in raising traditional breed pigs, such as crossing Mulefoot and Gloucestershire Old Spot boars with Yorkshire, Duroc, Hampshire and Tamworth females. 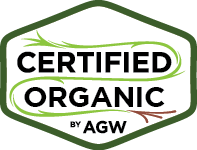 The farm plans to continue experimenting with their breeding program, to find which crosses are best suited for their business and high-welfare production practices. 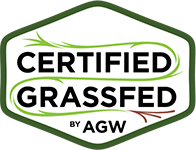 The Piggery pursued the Certified Animal Welfare Approved by AGW label to serve as a seal of approval for their high-welfare, pasture-based sustainable farming practices. “We’re doing everything we can to create pork that is good for the people, good for the land and good for the pigs, with a focus on minimizing our carbon footprint,” says Bradley. 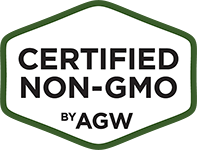 Certified Animal Welfare Approved by AGW pork products from The Piggery are available at various retail locations through the Northeast, as well as directly from the farm and butcher shop. To learn more about The Piggery Farm, visit piggery.net. Contact The Piggery Farm at brad@thepiggery.net and 607-342-0551. You can also follow the farm on Facebook and Instagram. With fall harvest season in full swing, there was good news from the USDA for consumers who prefer to buy their produce, meat, dairy and eggs directly from farmers: the number of farmer’s markets in the United States has grown by 13% over the past year. According to the agency, 5,274 farmer’s markets are now operating nationwide, up from 4,685 reported in 2008 (a gain of 589 markets). The USDA has just launched the “Know Your Farmer, Know Your Food” initiative to help develop local and regional food systems and spur economic opportunity.